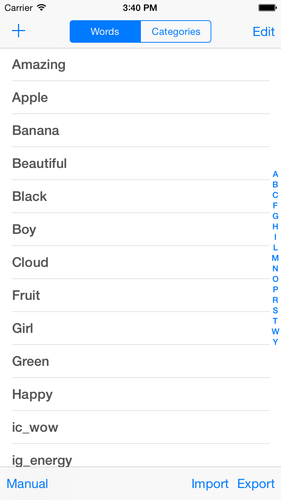 Extended keyboard for iOS to help enter #tag. 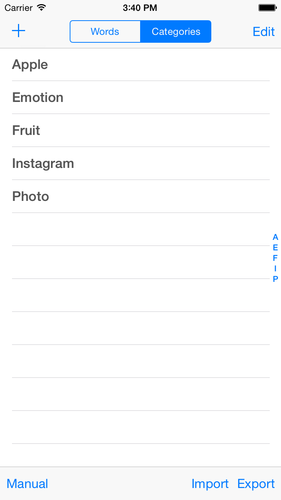 Instagram, twitter and so on, you can enter hash tag by just tapping. Automatically scan tags around cursor, if the tag has registered, the tag would be disabled. If the new tag found, [New!] button will be displayed. You can add that by just tap the button. 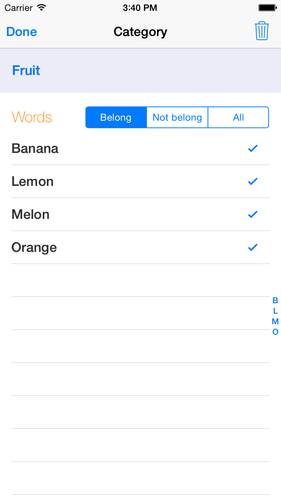 You have to use App to manage categories and words. 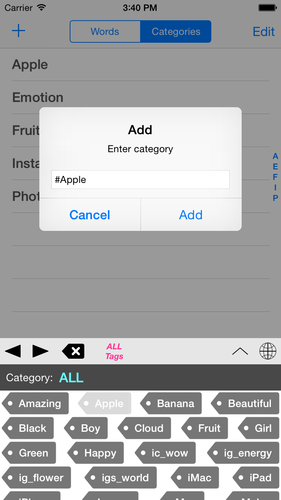 You can import categories and words from text file. The text file’s format have to be UTF-8 and LF for line delimiter. See the manual in App for more information.